KNOCKING even Ronseal into a cocked hat in the "does what it says on the tin" department, Killing Floor served up no-nonsense fury as up to five internet chums blasted their way through a morgue-load of zombies in an undead-ravaged London. Eight years on and its lean, mean, low-budget thrills have gained enough of a cult following to spawn this better-late-than-never sequel. Set a month later, even Brexit couldn't prevent the Zeds from going global, where you and three survivors take out the trash across a series of hyperbolic action frolics. Like a yellow pack version of Left 4 Dead, you and three buddies choose a character class (ranging from Commando and Support to the pyromaniac Firebug or firework-spewing Demolitionist), step onto any of the game's maps and kill everything that shuffles. Innards spray from the undead like they were spring-loaded, with lashings of gore turning levels into a butcher's shop window. 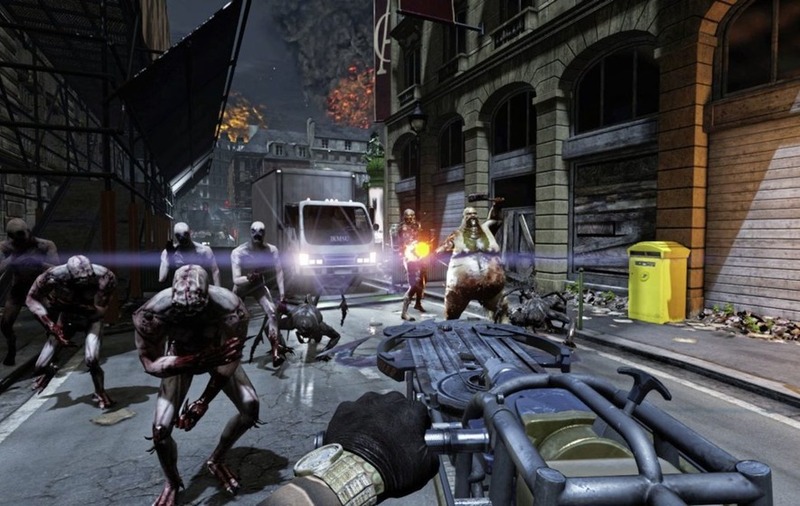 The horde shooter earns its filthy stripes as your team of zombie busters mow down waves of brain-starved zombies across a series of strung-together gunfights, with the levels paying lip service to the usual B-horror tropes. The medical facilities and misty farms are topped off with gut-churning boss battles designed to test your teamwork while shooting, hacking and slashing earns players cash to splash on armour and ammo between waves. Beneath the brutal surface there are some great ideas simmering away, such as bonuses for being a good teammate and subjecting loadouts to a weight limit, meaning some strategy when it comes to tooling up. Over 60 melee weapons range from katanas to rocket launchers while your enemies are a gooey delight – a macabre menagerie with varieties that shoot poison gas and have blades for arms or chainsaw boxing gloves. 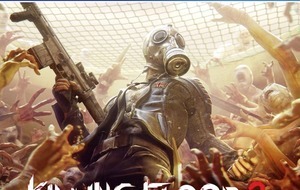 While hardly on a par with AAA titles, KF2's new gore engine means things get nice and chunky. And though in dire need of a few hacks of spit and polish, it all adds to the B-movie vibe, helped no end by an ear-flaying metal soundtrack. Soaked in 90s machismo, Killing Floor 2 is that rare undead murder sim that picks one thing and does it well, though its rinse and repeat structure may wear thin on idle minds. Still, the barebones butchery offers enough entrails and boomsticks to sate the most craven bloodlust, so long as you aren't too fussy about the production values.